Jessica and I had the opportunity this weekend to enjoy one of our most favorite establishments in the Long Beach area, The Attic Restaurant on Broadway. The Attic is just as cool as it gets, a converted early century home on the corner of Broadway and Newport ave. A southern masterpiece in both aesthetics and flavor, The Attic will immerse you with the feeling of New Orleans. Walking in off a cold morning street, after a long fun night, the Bourbon St. sconces on the walls and the fire breathing pit at the bar breathe new warmth and happiness into our weary souls. Greeted as always by the most sincere and devoted staff of any establishment on Broadway. Whether out for the hair of the dog or looking to accelerate your consciousness, you need look no further. 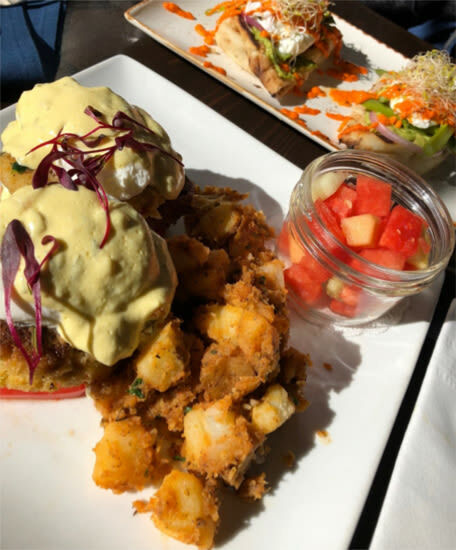 The Attic has hands down the best Bloody Mary's on the West Coast, and the creamiest lattes guaranteed to make your lips touch your ears and set your mind a racing. When it comes to the food folks, that's where The Attic really shows her true side. Jessica ordered the Avocado Flatbread featured above. 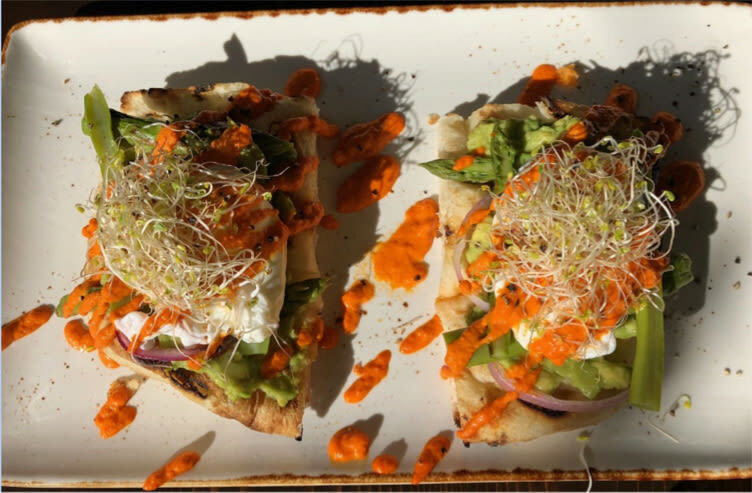 A Focaccia flatbread topped with avocado, heirloom tomatoes, grilled onions with asparagus, alfalfa sprouts and piquillo pepper coulis. And of course I ordered the finest choice on the menu and the house specialty. 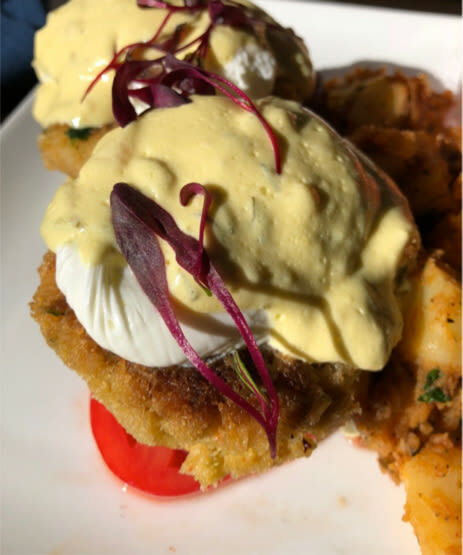 The Surf and Turf Benedict, two filet medallions cooked to perfection atop breaded and lightly fried real crab cakes topped with homemade Béarnaise and micro greens. 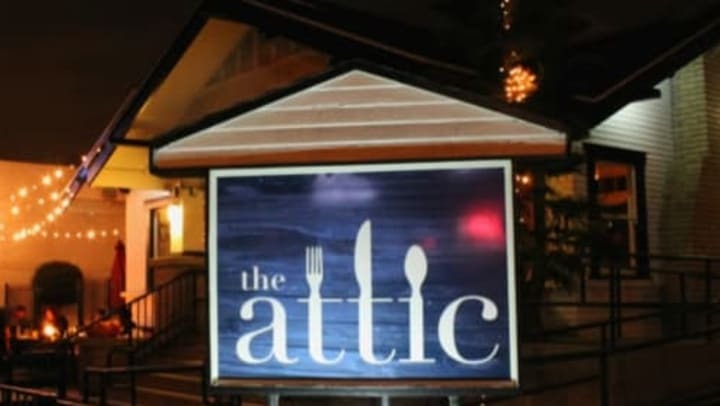 It's a good thing The Attic's food speaks for itself, because you'll be speechless. At Lakewood Self Storage, we truly love our local community. 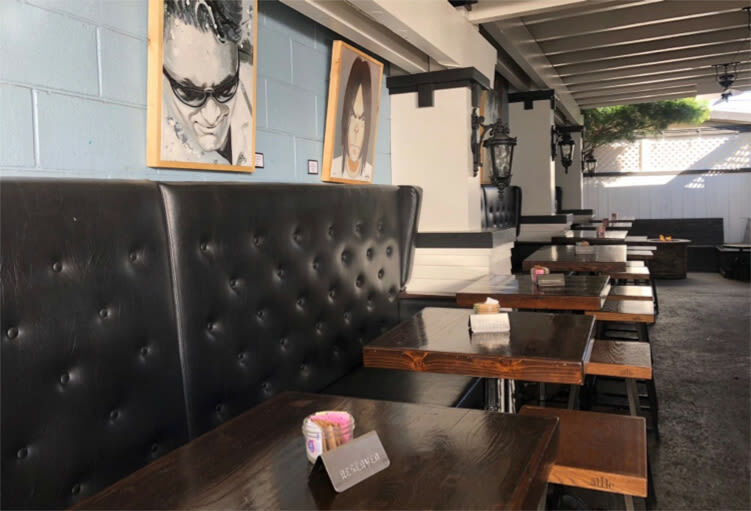 We hope you enjoyed our review of The Attic, and if you want to go and enjoy this wonderful food, just head on over to: 3441 East Broadway, Long Beach, CA 90803. You can call The Attic at: (562) 433-0153. Of course, we are also here for all of your self storage needs. If you need a little extra room, an extension of your home, we are here for you!